Every Girls want to look beautiful with stylist fashion on her wedding. 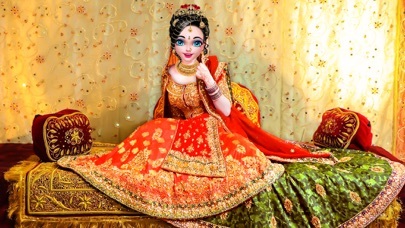 Every Indian princess doll want to look like bride Gopi girls in her own Indian wedding games. 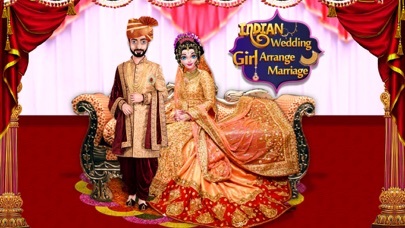 Grand wedding of bride and groom celebrity with Indian tradition girl makeover. And every girl wants to become Indian bridle princess. In this Game, First of all, clear out her face in spa. Then help this princess girl in makeover to becoming Indian fashion stylist model and make her look gorgeous with new fashion trends in royal Indian wedding rituals and makeover. Every girl wants to look amazing in wedding. Create your own ethnic style with this exclusive rural Indian makeover which is every girl's dream. 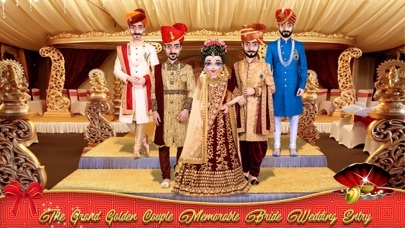 We have provided all in one wedding package like punjabi wedding, from spa, dress-up, make up to date with amazing ornaments to beautiful Indian sarees and choli as a outfits. Get ready for this theme of Indian designer bride fashion salon for wedding. 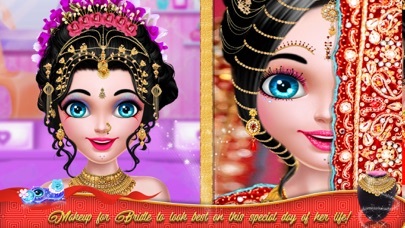 Have fun playing this most religious Indian arranged marriage makeover salon game. And enjoy Indian celebrity royal wedding. Features: - Spa with number of tools and masks for a glowing skin. - Stylist beard makeover salon game - Number of glamorous makeup options which includes charming lipsticks, blushes, eyeshadows, eye-lenses, unique hairstyles - Dress up with most amazing lehnaga choli with number of options to complete the Indian look in the best way - Attractive ornaments like necklaces, earrings, nose-rings, kalire, kamarbandh, etc. which will add more charm to this Indian bride - Apply beautiful and unique face packs to make Indian Girl look more gorgeous - Remove her pimples, extra eye brow hairs, black dots and give her a clean face - Wedding make up would be incomplete without attractive lipsticks and lip glow - Apply the unique eye mascara with different colour options - Give Indian fashion Doll more stunning look with eye shadows and glow - Haldi for the bride and groom - Beard Hair Cutting Games - Photoshoot makeover for wedding - Try some new Indian hairstyles on fashion doll - Prepare stylish hairstyle with Gajra - easy to play and share picture on social media - beautiful graphics - effective sound. 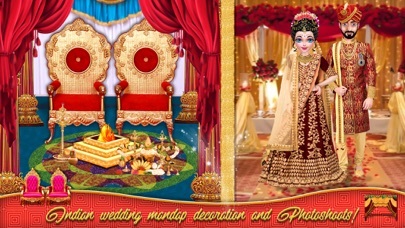 - Barber shop hair salon games - Indian Girl Arranged Marriage - Indian Saree Dress-up Games - Indian Wedding Salon - Indian bride - Top Country Theme Wedding - Bride Fashion Wedding Makeover And Makeup - Indian Culture - Royal Princess salon & spa - Royal wedding rituals It's a totally free game for everyone! 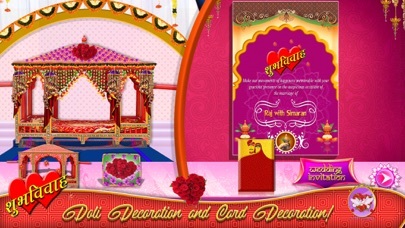 Hope you enjoyed playing our wedding games and if you want more features for this game please leave a comment.